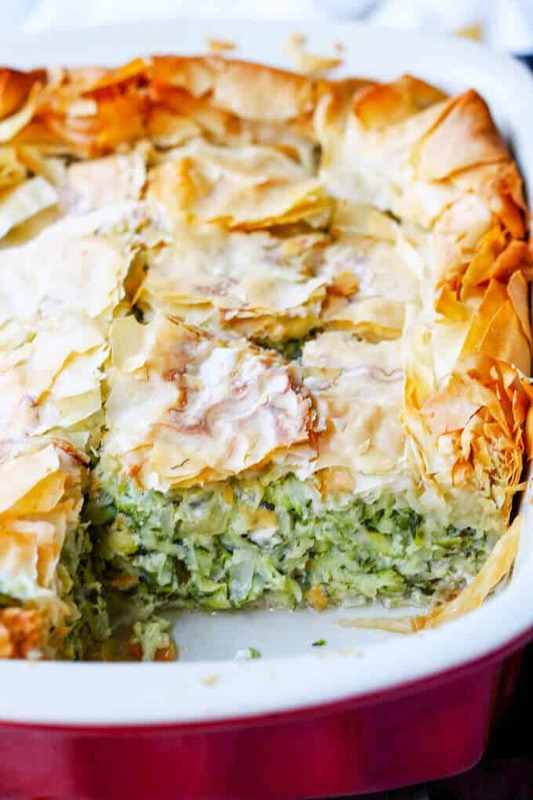 Kolokithopita, or Greek Zucchini Pie, is a perfect comfort food for the Summer. 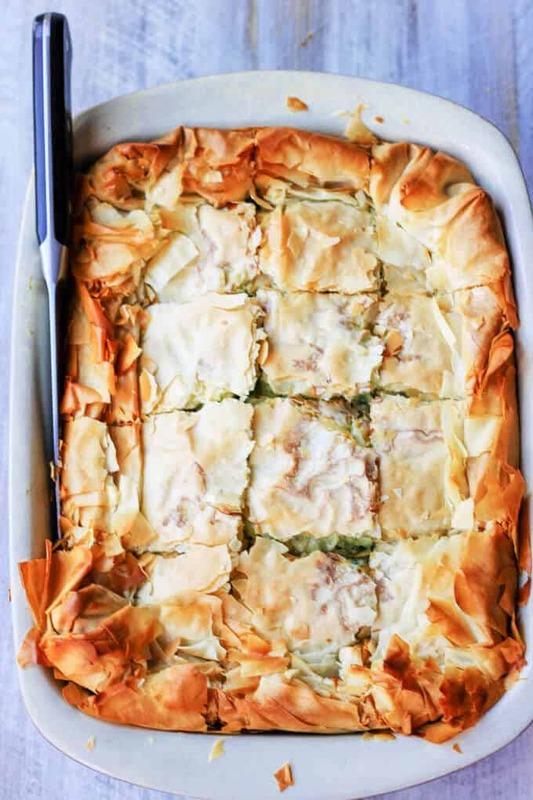 The dish is a simple combination of zucchini, onions, herbs, eggs & feta, wrapped in a flaky phyllo dough, which makes for an awesome, light vegetarian meal. 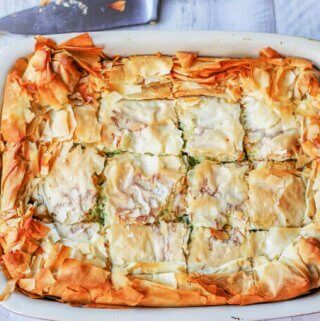 ‘Kolokithopita’, or Greek Zucchini Pie, is like ‘Spanakopita,’ except it substitutes zucchini for spinach. I had actually posted a photo taken with my iPhone on Instagram right after I made it and one of the comments was: “Like a zucchini spanakopita?” Exactly! 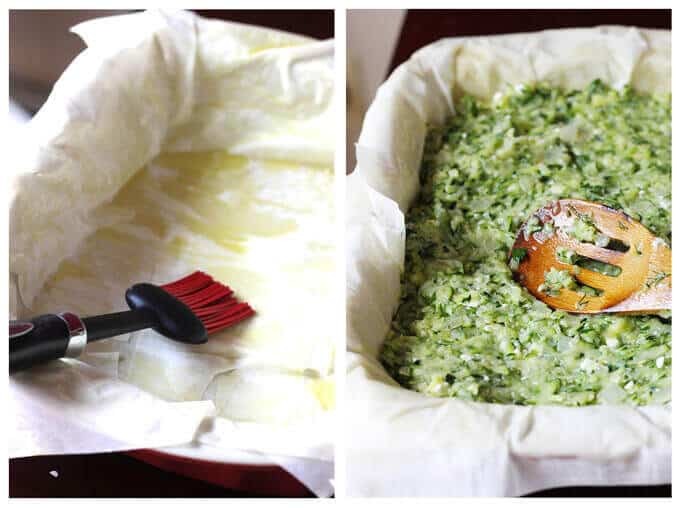 So if you are a Greek Spinach Pie lover, you’ll surely like this zucchini pie as well. But with all seriousness, I have to mention that Greeks call pumpkin and zucchini “kolokhita”. As such Kolokithopita can be made with “sweet” pumpkin or zucchini. I made here one with zucchini because 1. it’s a perfect summer dish with all the abundance of zucchini and 2. because I love zucchini. Why did I make zucchini pie? 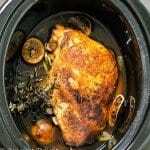 Greek Chicken with Tomatoes, Cauliflower and Feta. The other day I was shopping in a freezer section in my favorite local food store and they had some pretty good Greek options, but they also stocked just a plain phyllo dough. I grabbed one with the desire to make something as soon as possible. Little did I know that my freezer was destined for a malfunction that night and I was compelled to use my phyllo dough literally the next day; as it got beautifully defrosted and cried out to be used. I had tons of ideas of what to make with it, but for some reason Kolokithopita was calling my name. 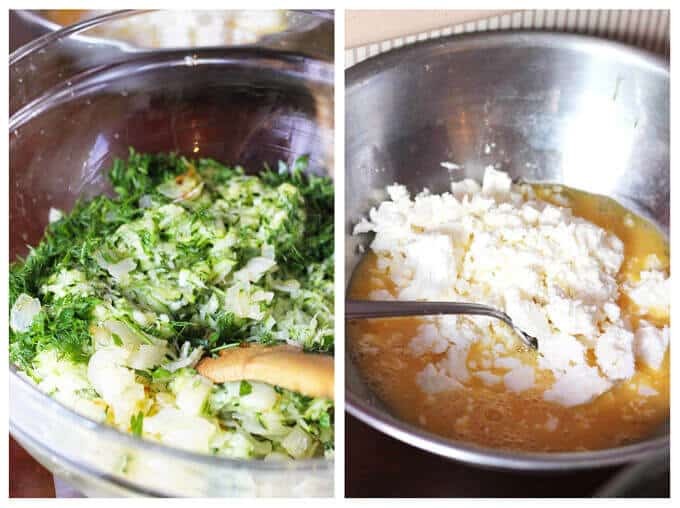 Once you have your bottom phyllo dough ready, pour over the zucchini mixture and top with another 6 layers of phyllo dough; make some cuts in the dough on top and bake until golden brown (scroll down for full printable recipe). 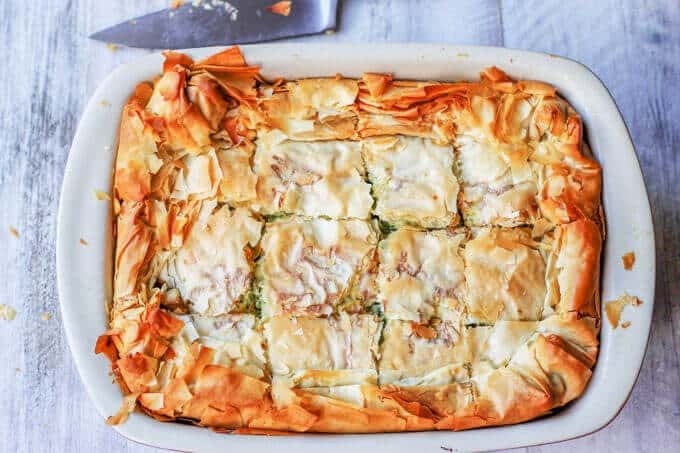 If you’re a zucchini lover, a spanakopita lover, and find yourself with some phyllo dough in a freezer, then don’t hesitate to make this amazing Kolokithopita – Greek Zucchini Pie recipe. I guarantee you’ll love it. 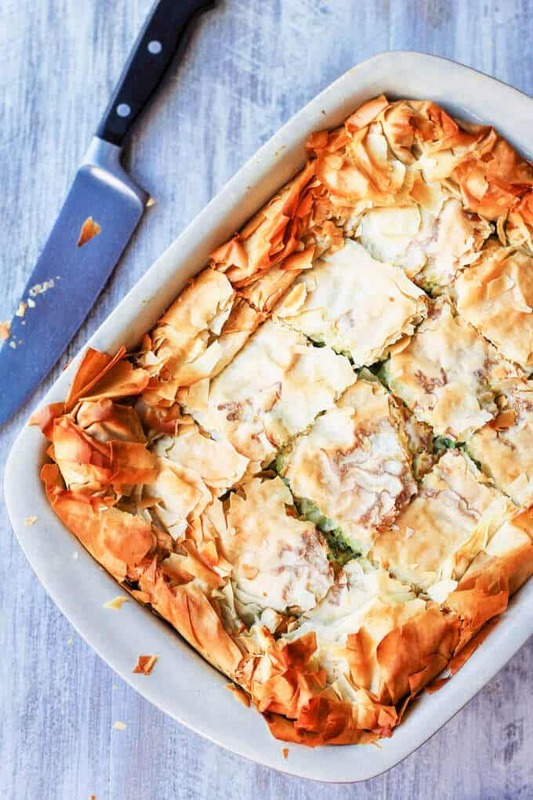 Kolokithopita, or Greek Zucchini Pie, is a perfect comfort food for the end of the Summer. 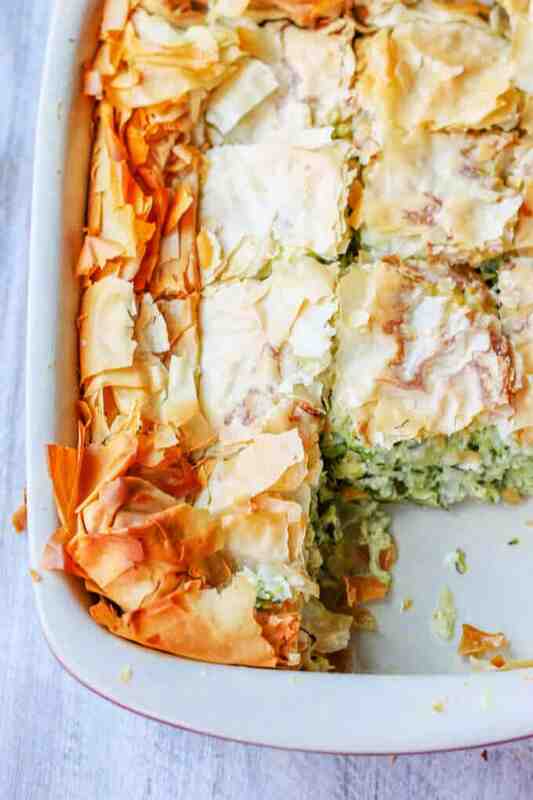 The dish is a simple combination of zucchini, onions, herbs, eggs & feta, wrapped in a flaky phyllo dough, which makes for an awesome, light vegetarian meal. 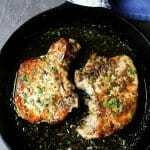 Bake in the center of the oven for an hour or until the crust is crisp and golden brown. This looks absolutely fabulous!! I know my friend will love this especially since one of her favorites is spinach pie. Pinning for later! I’ve made zucchini lasagna but never this way…the Greek way. I am loving this idea. I am going to have to share with my neighbors who are Greek. They would love this especially with all the zukes growing in the garden. Fantastic! I hope they will like it. I adore Greek food and wouldn’t mind having this pie for dinner. Oh my goodness, this looks incredible! I love anything with zucchini in it. I can’t wait to give this a try, thanks! I’m really into Greek food,your pics are really looking nice,you’ve put in a lot of effort. Just the title got me all excited. 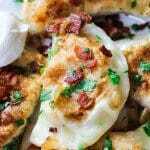 Love phyllo dough and this recipe looks fit for a king. Love that it’s all layered in a casserole.